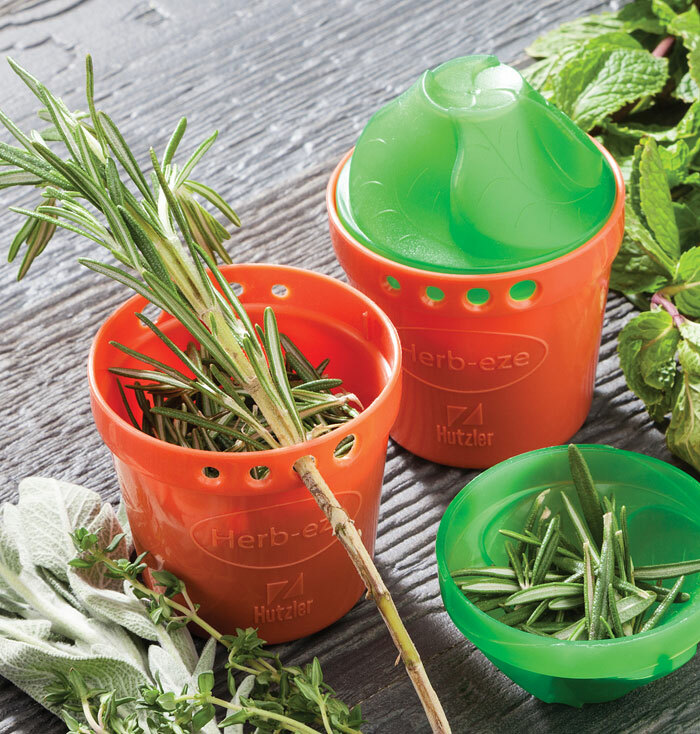 The Herb-Eze® is an all-in-one tool to strip, measure, collect and store fresh herbs in the freezer. 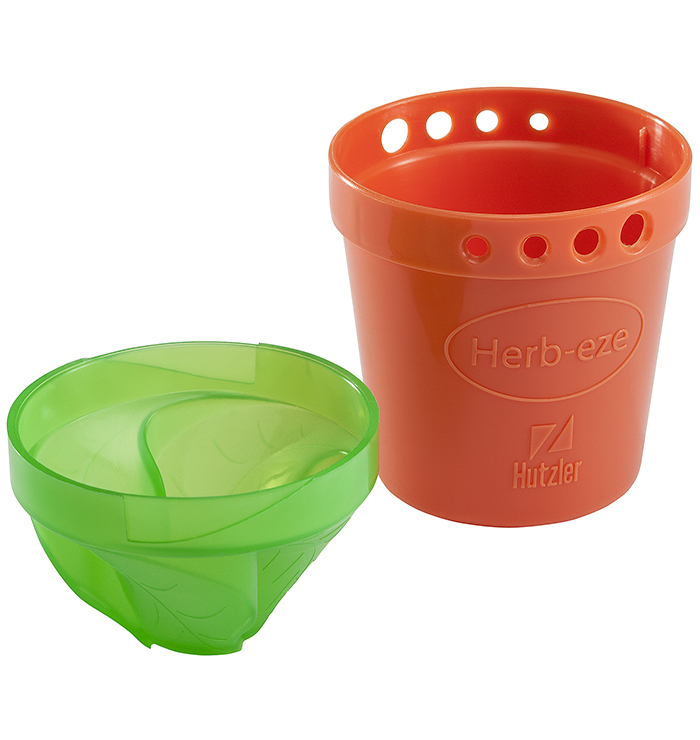 Looking like a small gardening pot, the base and cover interlock to form a storage container. Around the edge of the base are 8 holes of various sizes used for stripping herb leaves from their stems. Just pull the stem through the best-fitting hole, allowing the herb leaves to neatly drop into the container. Measurements within the cover make recipe prep easy so you can prepare exactly the right amount. Store the remaining trimmed leaves within the Herb-Eze and place in the freezer for future use. 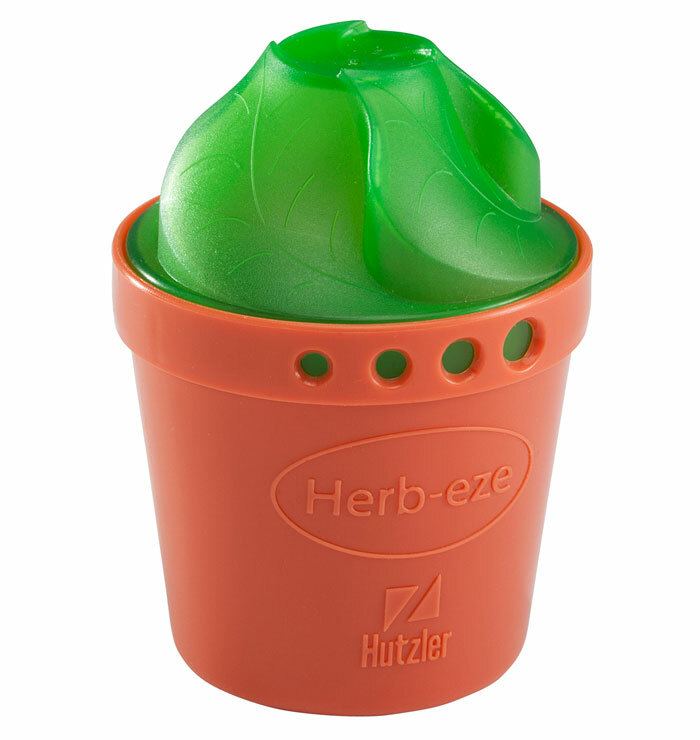 The Herb-Eze is freezer safe, dishwasher safe, and BPA free.